High-performance thermal transfer printers from the 64-0x family are ideal for industrial applications that need to meet high demands. Operating up to 20 times faster than competing products, the 64-0x thermal transfer printer always drives in the fast lane. Whether used to print bar codes, tags or production labels, this powerful machine is impressive thanks to several additional features that are critical when in constant industrial use. 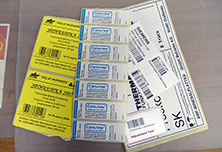 The unique foil-saving mechanism delivers considerable cost savings. Thanks to swift data processing, these printers are even able to cope with large quantities of variable data and graphical elements. At the center of the extensive range is the high performance processor, complemented with a font and bar code library. This allows for essential performance features such as enlargement capabilities, two-dimensional presentation and the ability to rotate the scalable fonts almost entirely freely. The 64-0x family will do your supply chain a power of good. 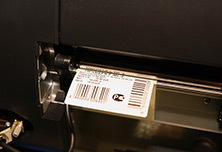 Robust and reliable, it prints your labels just-in-time, just-in-sequence and with virtually no outages. • The printers of the 64-0x family ensure intelligent foil utilisation. From as little as 6 mm of print-free space, the foil saving mechanism significantly reduces material consumption and thus makes for dramatic cuts in your costs. • The 64-0x family allows you to draw on unlimited resources. 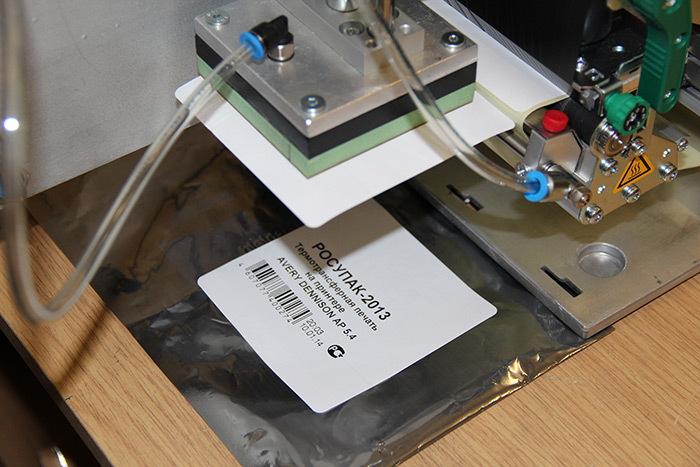 A foil feed capacity of up to 600 m makes immediate savings and cuts setup times dramatically. • A mature verification package (the standard dot check function and/or the optional online verifier) ensures reliable print results even with complex applications. • Technology can be so simple. Our modular concept allows you to use exchangeable accessories entirely flexibly. • The 64-0x family delivers maximum quality printing results. The unbeatable data processing of the multitasking system and the print speed of up to 400 mm/s makes the family extremely efficient. The ribbon-saving mechanism lowers material consumption. • The 64-0x family is used wherever performance is vital – for instance for traceability or labelling for internal logistics and transportation. 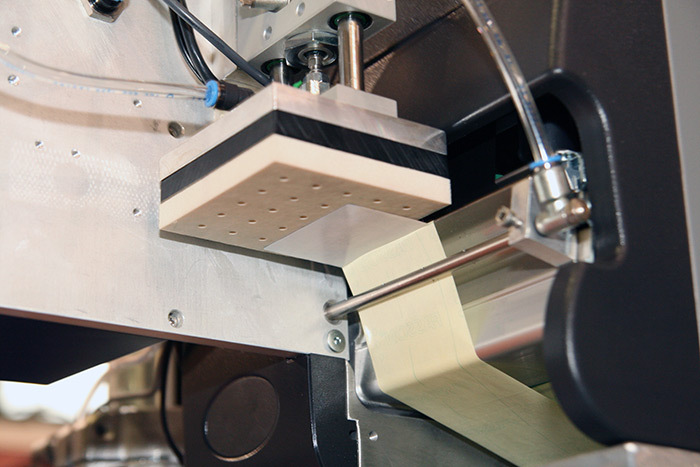 • 64-0x has an LTSI addition, which is an applicator (transfer label system on the product). 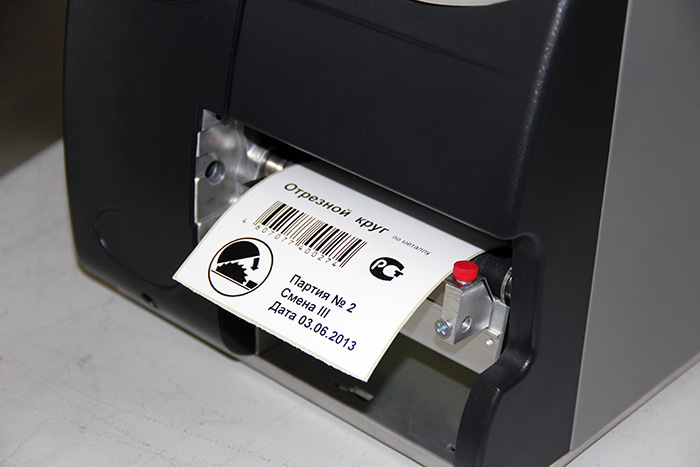 LTSI can be installed above the conveyor, and then print and apply label on the product. This is useful for when the product has different heights, and a conventional printer-applicator in this case would be inappropriate. 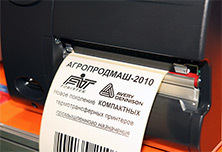 Video νmero;1 Description »High-speed industrial thermal transfer printer 64-04 is designed for high-quality clear printing of self-adhesive labels - printing of text, graphics, logos, bar codes, variable information. 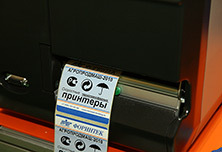 Video νmero;2 Description »Two examples of thermal transfer of the expiration date - printing on the label-template (pre-printing the expiration date in an already prepared label printed with a printing method) and printing on a blank label. When the label is printed, the mode of saving the thermal transfer ribbon (ink ribbon) works - at the moment when the label is moving and there is no printing, the print head is raised, thus stopping the movement of the ink ribbon. 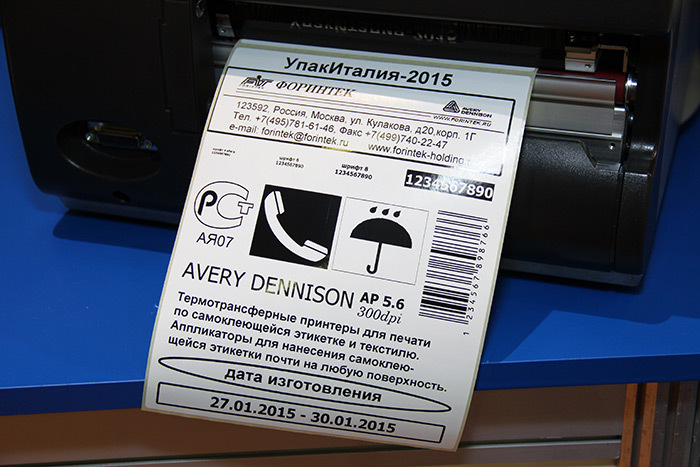 Video νmero;3 Description »Semi-automatic thermotransfer printer-applicator 64-04 LTSI is designed for printing barcode and text information on a self-adhesive label with further transfer of the label to the product brought to the work field. Labeling (label transfer) occurs immediately after pressing the start pedal, which is located on the floor. 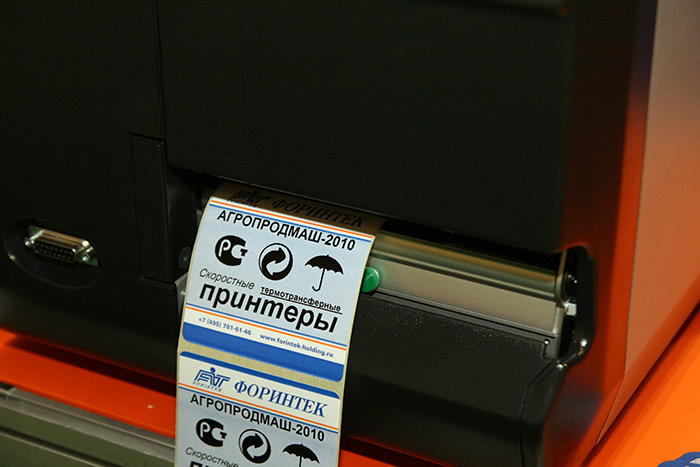 Video νmero;4 Description » Thermal transfer printer applicator 64-04 LTSI is used for printing and semi-automatic application of self-adhesive labels for hand-fed products. 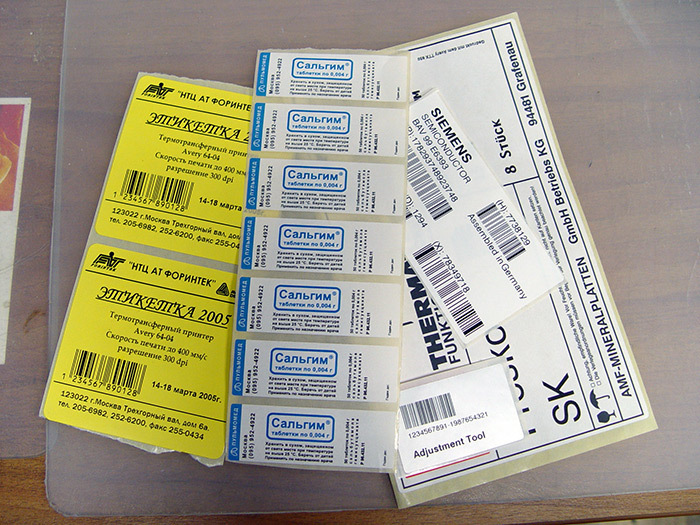 The task for the thermal transfer printer is sent from a personal computer from the previously created barcode database. 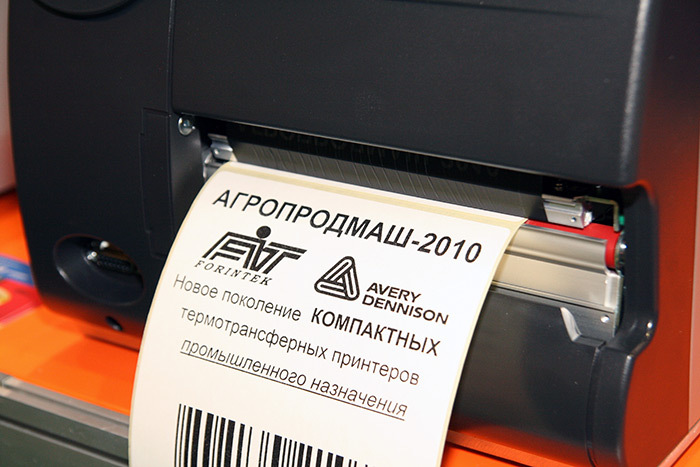 It is possible to use label templates with a permanent logo and address, into which variable information and a barcode will be imprinted.